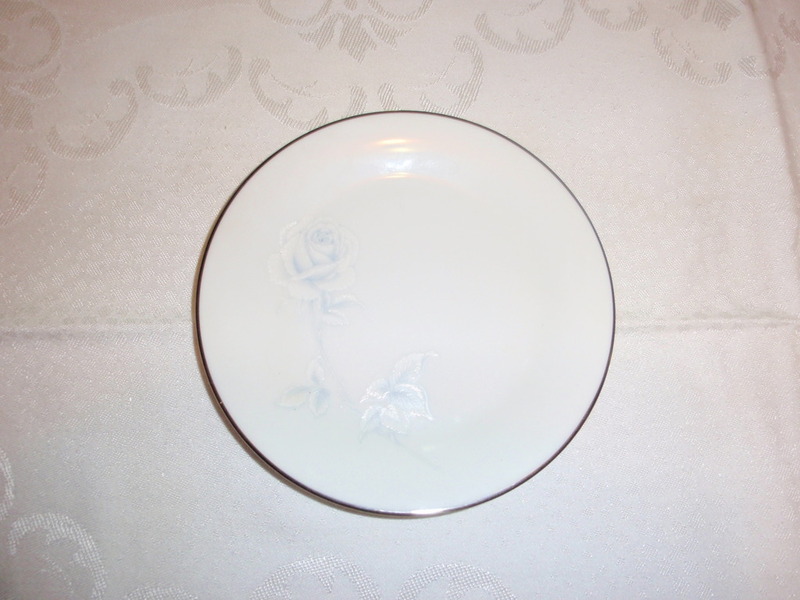 The china is decorated with a single blue and white transfer print rose and is finished with a silver band to edge. My ‘good’ china. 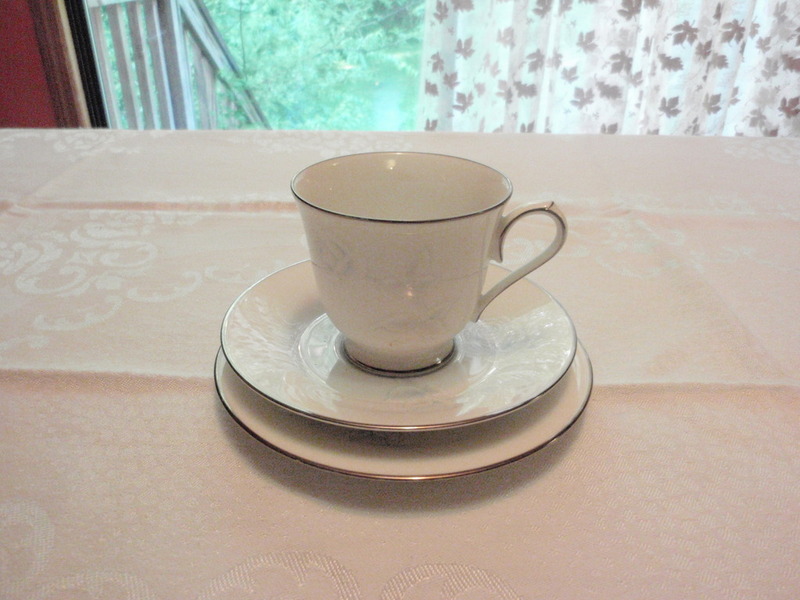 This is the one I picked out in college and it’s still my choice for serving a full formal meal. For a tea I would pick something very traditional- Earl Grey or Prince of Wales to go with this cup. Emily calls this one Elizabeth- after her sister, I think.